The Integrated Strip Marker is made to fit the Aluroller and allows you to mark each profile automatically. 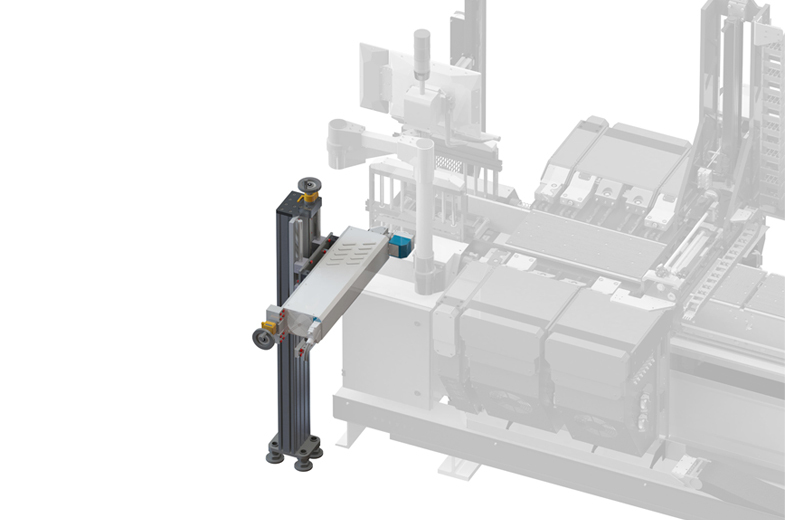 This expansion option can be added to the Aluroller’s strip feeder to print your selected code along the strip every 50 centimetres. The marking is simply done as the profiles roll in, whether they have been coated or not, without affecting either the speed of production or your operators’ ease of use. Now you can relieve your operators of their secondary duties and accelerate your production process. The Integrated Strip Marker incorporates seamlessly into the Aluroller installation and can be added to your production line at any time.